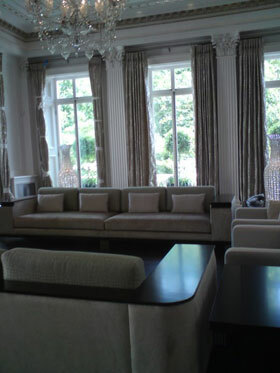 At Sonia K Curtains, we have been tailoring bespoke curtains and soft furnishings for over 30 years. From cushions and curtains to blinds and bedding, we pride ourselves on creating something unique for you and your home. Whether you are looking for something brand new, or would like to alter an existing set of curtains or blind, we are here to help. Plus, we also cater to commercial customers, adding the finishing touches to clubs, schools, nursing homes and offices. We have a vast range of fabrics for you to choose from. However, if you cannot find exactly what you are looking for, we are happy to make your perfect fabric to order.